This post has been simmering inside of me for a while now. In April of 2013 I was in Branson in one of my favorite shops and I happened upon this collection of wonderful canvas prints and notebooks and doorknob hangers and jewelry that had these beautiful messages on them about being brave and being strong and choosing happy. I loved the artwork and the colors and they had lots of birds and butterflies and I am a sucker for a whimsical bird or butterfly so I picked up several pieces of jewelry and some notebooks and doorknob hangers for gifts for special people when I went to INA (The International NannyAssociation Conference) in a few weeks. I don’t know about you but when I buy something I love the first thing I do is find out if they have a website so I can go to their website and see what else they have that I need to buy as well. The name of the company was Brave Girls Club. "We are on a wild and crazy mission to find all of the brave women of the world...to help them find each other...then to change the world with good news, good ideas, good people, and good times. " Something happened to me as I sat and read the entries for why people wanted to win the registration. I read about women who were fighting cancer, women who struggled with mental and emotional illness, women who had just lost a child, women whose spouse was killed, women who were in true pain and suffering and I realized that not only could I not take away a chance for them to win that registration but I wanted to gift one of those women the Soul Restoration class. So I contacted Brave Girls and told them what I wanted to do and they emailed me back with a lovely thank you email and told me we could do that. If you have never gifted something to someone unexpectedly it’s hard to explain the happiness and joy that it brings to your heart but it’s a wonderful feeling and I loved doing it. To my surprise, a few weeks later when the class started I found out that Brave Girls had gifted the class back to me. Now how cool is that? I was so excited and surprised about this that I could hardly contain my joy! I had never taken an online class like this and I am definitely not an artist but I had decided I was going to do it anyway and make the best of it. The class was called Soul Restoration and without going into all the details of the class I will tell you that not only was my soul restored, my life was forever changed. In this class I learned how to truly forgive myself for mistakes I made in the past, for regrets I had about how I handled certain situations in my life and choices that I made. I also learned how to no longer dwell on the past and how to be happy in this moment. No longer carrying those things around with me, made my load lighter, made my heart happier and I hope has made a visible difference that other people can notice. You know how a really great book leaves you wanting more? Or how you savor the last bite of an amazing meal because you don’t want it to end? Well that’s how Soul Restoration was for me. Brave Girls Club had a very special way of getting to the heart of your fears and I wanted more. I wanted to go to Brave Girls Camp! Brave Girls Camp was a 4 day retreat for women to do art and soul work with Melody and Kathy in their art barn and I knew that I wanted to experience that. So Terry and I talked about it and I decided that June was the best time for me to go. By the time June got here I was so excited and giddy I couldn’t stand it. Our camp group had a facebook page, we had all done introductions and knew a little bit about each other and we were all incredibly excited about camp. I left very early on Tuesday morning to fly to Minneapolis where I had to change planes to fly into Boise, ID. When I arrived in Minneapolis I noticed on our camp groups facebook page that another woman on her way to camp was in the airport waiting for her plane. It suddenly dawned on me that she must be on my flight, I looked up and she was sitting right across from me. By the time we boarded the plane and were ready for take off we had connected with 2 more campers and I sat next to one on the flight to Boise. We talked non stop for 4 hours. Brave Girl Camp was beyond words. It was 4 days of whatever we wanted when ever we wanted or needed it. Fabulous food, incredible snacks, warm hospitality, great music, spontaneous dancing, art, soul searching and so much more. It was 24 women who became instant friends and sisters. It was 24 women who didn’t snip or snap or act snarky or criticize each other or compare who had more money or a nicer house ….it was 24 women who laid open their souls for 4 days of personal growth……. and grow we did. For me it was about reflecting on my journey as a nanny and on what my future will look like as my charges grow into adulthood and my job comes to an end. It was about learning to embrace the end of the journey and realize what an honor and a privilege it was to be part of this family for 21 years and to realize that we had done some great work together. At Brave Girl Camp I realized that for me the best is yet to come. I don't know what my future holds but now I believe in my heart the best is ahead of me instead of behind me . 1)Forgive: Even when your situation is difficult, try to forgive and try not to take it as a personal attack on you or on the person you are. Try to put yourself in the other person’s shoes and remember that this is hard for them too even if they don’t show it. 2)Forgive yourself: We all go through emotional times….so if you make mistakes or if you made mistakes try to learn from them and forgive yourself. 4)Keep moving forward. Keep looking forward. You can’t move forward looking backward. Stop thinking about yesterday and start thinking about today and tomorrow. 5)Remember your value. You are an amazing person. You have wonderful qualities and gifts than no one else does. 6)We all make mistakes…don’t let yours define you. 7) Don't judge others. This is probably the hardest one but don't judge other people for what they did or didn't do or how they did it. We are all doing the best we can. 8)Find something to be grateful for every single day. Even if you have to dig deep to find it try live with a heart of gratitude. It will change you, it will make you appreciate the little things and it will make you stronger. 9)You will get through this. You are strong enough. 10)This is only a chapter of the book it is not the end of your story. 11)When the world is not being kind to you, make an effort to do something kind for someone else. 12) Be an encourager not a discourager and as momma (and Thumper) always said "If you can't say something nice don't say anything at all"
So that’s really the short version of this journey but I do want to share some links with you of my favorite Brave Girl Posts and I hope you will check them out. Their Soul School Classes are life changing. It doesn’t matter what you believe or don’t believe, women of all beliefs can embrace the lessons of Brave Girls Club. Oh I wish I could go to Brave Girls Camp now with you. What a wonderful experience! And such good lessons and take aways you got from it. No wonder you love the Brave Girls so much! You Are A Brave Girl! Thank you for sharing this experience with us. Very inspiring post, Miss Just G! Thank you so much for sharing! 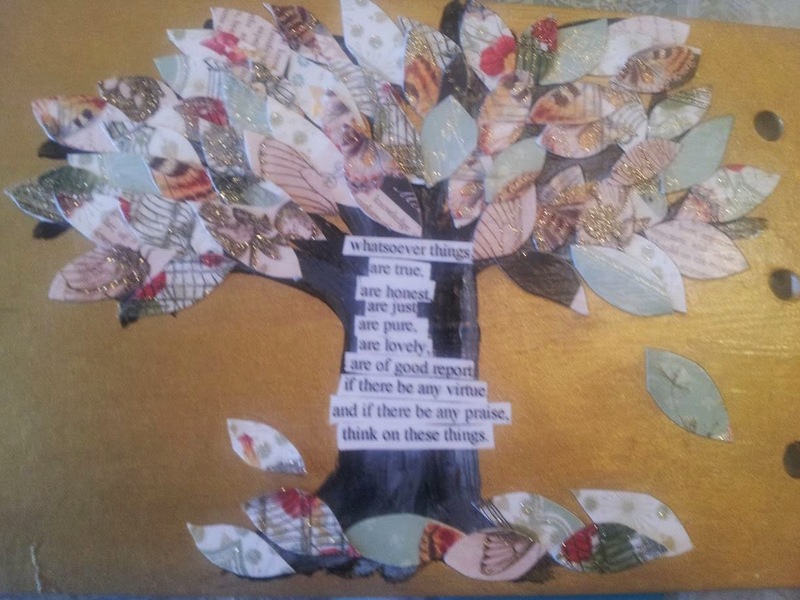 Oh, I pinned one of your art pieces to The Heart of Gratitude Journey Pinterest Board. I hope you don't mind. I just love it! Thanks Nancy and Dana. I am so glad I have connected with you. You have reminded me of important lessons about gratitude. 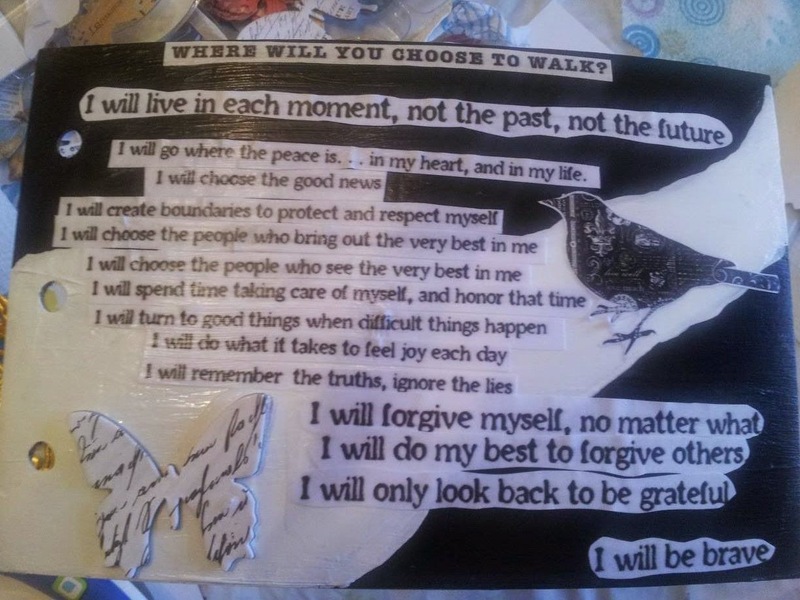 Thanks for sharing my art piece on the The Heart of Gratitude Board. I will have to find it. Beautiful!!!! I am so grateful for Brave Girls Club and Camp too! Are you a nanny in transition? 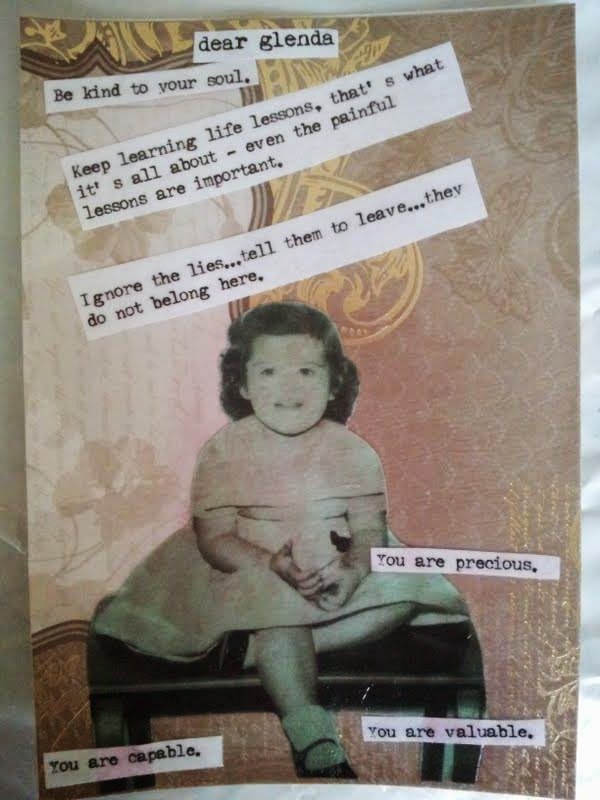 If you are a nanny in transition, you might want to read the Gentle Transitions Workshop which is posted on this blog. 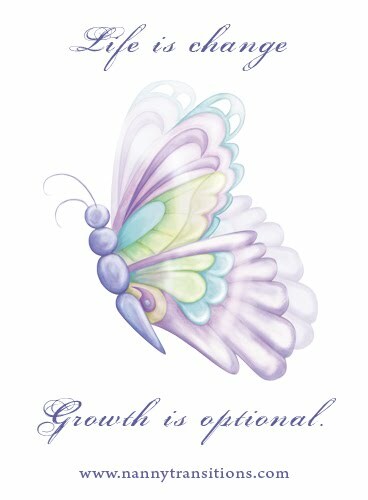 If you are going through a transition and need support, please feel free to email me. Can Hynposis Help You Alter Your Weight? PLEASE Vote for Regarding Nannies!